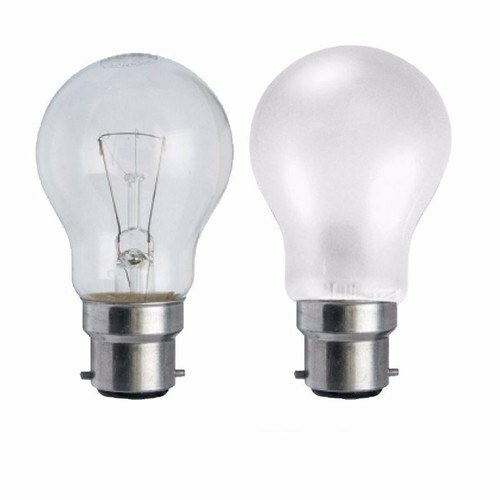 The Status High Wattage 150 Watt Incandescent Classic Shape GLS Tough Lamps with a Bayonet Cap with a choice of Clear or Opal/Pearl Finishes are ideal for traditional home or business lighting in chandeliers, wall mounted lamps and beside lamps with shades, and feature full dimming support. Providing a warm glow, these bulbs are manufactured to a high standard by Status International and are trusted for their bulb longevity and dependable components. Available in single units or as a pack of 10 in both finishes, these bulbs will light up your home and prove incredibly cost-effective with a 1000 hour estimated life. Due to the 2007 UK Light Bulb legislation Standard Incandescent light bulbs are no longer available in the UK. Please be aware that we may have to substitute some Candle light bulbs with a suitable alternative which could include Rough Service versions which are identical. In the nature of a purchase of light bulbs, I haven't actually tried any of this batch yet. That won't happen till one of my existing bulbs blows. But I'm very glad I was able to get a fresh supply of 20 150W incandescent bulbs from Electrical World. These are good bright bulbs, which would still be in all the shops if the EU hadn't required us all to use inferior halogen equivalents. My main compliment to EW is how promptly and efficiently they sorted out a misunderstanding about my order. Great bulb, not PC or environmentally friendly but gives out loads of light. Fast delivery, all 10 arrived well packed and intact. After suffering for years with silly low watt bulbs I managed to find some old school 150w. And what a difference it makes! I no longer feel like I live in a cave, colours are brighter and I feel awake! Great service, sorted out my delivery problem without any fuss. Thank you!